J. Russell Kitchen & Restaurant Supply Co. Welcome to J. Russell Kitchen & Restaurant Supply Co.
Let J. Russell Kitchen & Restaurant Supply Co. be your one source for everything you need for your commercial kitchen. "Our team is here to do our part in ensuring your continued success with innovative solutions, quality equipment, expert guidance, easy availability and high standards of performance that continue long after the sale." J. Russell Kitchen & Restaurant Supply Co. carries all major brands of restaurant equipment and supplies, from commercial refrigeration and restaurant ranges to hot dog roller grills and conveyor toasters; from bun pan racks, pizza peels, and bussing tubs down to food pans, serving bowls and spatulas. 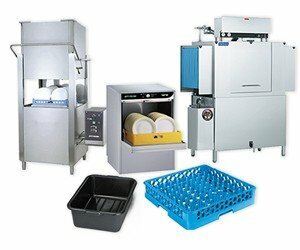 If you need quality commercial equipment, kitchen tools or supplies for your foodservice operation, you will find that we carry it or can help you get it, from the biggest and most trusted names in the foodservice industry and at the best prices. You have a foodservice business to run. 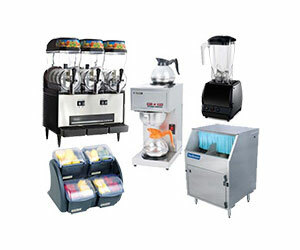 You want to be efficient and economical when shopping for kitchen equipment or products. Even with all of your experience in the foodservice industry, the manufacturer's specification sheet or product description may not answer all of your questions. Maybe you are adding new menu items or you have heard about new equipment or technology that might make running your commercial foodservice business easier. 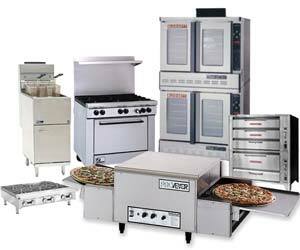 With so many foodservice equipment products to choose from, the selection and purchase process can be overwhelming. Our in-house foodservice professionals with over a century of combined experience in restaurant and commercial kitchens and equipment sales are a simple phone call away. Talk to a trustworthy J. Russell Kitchen & Restaurant Supply Company team member who knows the equipment or products, how they work, and how they might suit your foodservice application. Don't hesitate to contact us - we are here to help you find the right products to make your foodservice business successful.